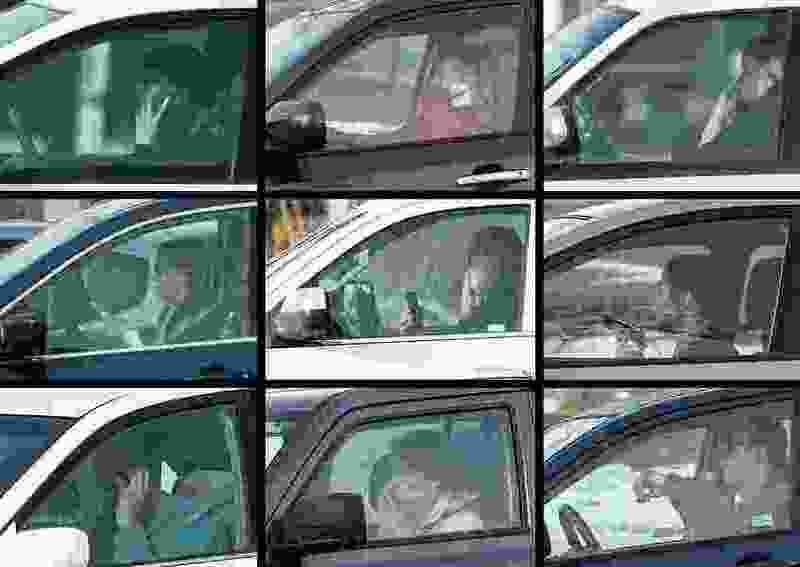 (Francisco Kjolseth | The Salt Lake Tribune) People hand hold cell phones while driving in the Salt Lake Valley in early 2019. The Legislature is considering a bill banning hand held phone use. Our conservative, teetotaling legislators have no problem taking away an individual’s right to have a cocktail or glass of wine with a meal and then drive home which, given the new rigid BAC limits, could be enough blood alcohol to put one over it, eligible for a $10,000 fine and more. We are not talking sloppy drunk here, just a legal, civilized beverage consumed socially. These same conservative phone-wielding legislators feel it’s a rights violation to make it illegal and cite those swerving, driving-at-a-crawl, stopped-at-green-lights, obviously-impaired, distracted drivers who jeopardize us on our streets constantly, chatting away on their cellphones or worse, texting. Unless there’s punitive legislation enacted, this situation will not improve. We all have to be willing to give up some freedoms for the safety of others.